Gordon & Doner applauds the ruling of the Florida Supreme Court to repeal a 2003 law that inhibited attorneys from representing an injured worker and was a violation of due process. Gordon & Doner supports the April 28th, 2016 decision by the Florida Supreme Court that found a 2003 law (Section 440.34) unconstitutional under both the Florida and United States Constitutions as a violation of due process. The 5 to 2 decision by the court will alleviate the impediment created because of the fee system imposed by Gov. Jeb Bush in 2003. The law was a high priority for Bush, who made it part of a special legislative session. He said at the time that the rising cost of workers’ compensation insurance was making it unaffordable and in some cases unavailable. The fee limits were based upon a percentage of the amount of money won in a claim, so if an injured worker had a $3,000 claim, the attorney would receive no more than $600. Even though the $3,000 claim would be important to a $10 an hour worker struggling to make ends meet, the $600 attorney fee could equate to $6 an hour or less, depending upon the number of hours an attorney had to work on a case. The case that precipitated the Florida Supreme Court ruling was Castellanos v. Next Door Company. The case involved a man who successfully sued a Miami door manufacturer over an on-the-job injury. His lawyer was paid $164.54 for more than 100 hours of work or less than $1.64 an hour. In its ruling, the court said the fee limits are unconstitutional because they resulted in a system where people can’t find lawyers to represent them at the imposed fee limit rates. It has also been ascertained that the law led to insurance companies denying legitimate claims knowing that injured workers wouldn’t be able to fight the decision, since they would not be able to find an attorney to take the case for such a potentially low fee. The office of Florida Governor Rick Scott is reviewing the decision by the court. The law offices of Gordon & Doner urge any injured Florida worker to seek legal counsel, especially if they have been denied any benefits to which they were entitled due to a work related injury. About Gordon & Doner, P.A. Gordon & Doner is a law firm with locations in Broward, Martin, and Palm Beach counties. The firm has 15 attorneys with over 180 combined years of experience in personal injury and litigation ready to assist anyone with their case. Their team of highly skilled attorneys has obtained millions of dollars in results for their clients and can help fight for maximum compensation. At the law offices of Gordon & Doner, they represent the people, not the powerful. Their firm is dedicated to representing and fighting for the rights of the injured. Gordon & Doner does not represent or defend insurance companies. Have you been wondering about the difference between worker’s compensation and personal injury cases? Simply put, workers’ compensation is an insurance claim, while personal injury claims are lawsuits. The main difference is liability. 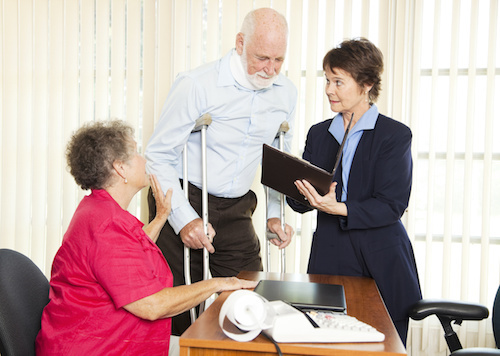 What they have in common is their ability to provide individuals who have been injured with compensation. 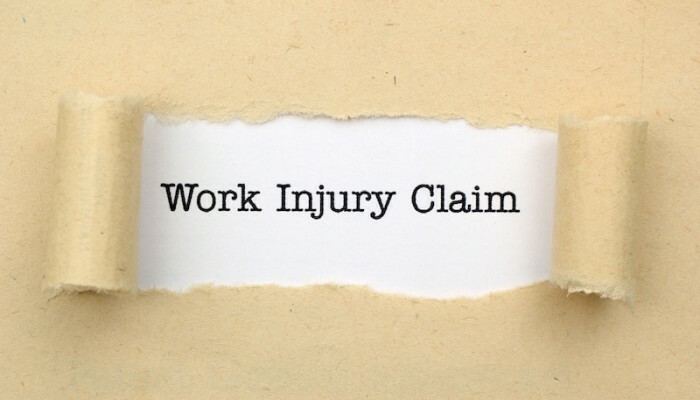 When someone is injured on the job they are entitled to workers’ compensation benefits. Workers’ compensation claims are most commonly filed after a work-related injury. Individuals are guaranteed payment if the injury disables you from returning tow work for a period of time in the form of weekly compensation, permanent impairment benefits, payment of medical bills and vocational rehabilitation. The income is non-taxable, and approximately two-thirds the average wage of the injured worker. Adam Werner, a worker’s compensation attorney is here to answer your questions! A workers’ compensation benefit protects employers and employees, and eliminates potential litigation. Collecting money on workers’ compensation is a compromise; you give up the right to sue an employer for pain and negligence. Additionally, you cannot be compensated for pain and suffering. A mere two types of employees are exempt from filing workers compensation claims: those who work as a vessel crew member, and interstate railroad workers. For these individuals, there are two respective federal laws: the Jones Act for crew members, and the Federal Employers Liability Act (FELA), that protects railroad workers of railroads that operate in more than one state. Personal injury claims are based on fault. An individual must prove negligence on the part of a third party, and are eligible for pain and suffering damages, lost earnings capacity, medical bills – current and future – and permanent impairment. Personal injury attorneys may require clients to sign a retainer agreement, outlining exactly what they will be required to pay when the case is finalized. Be prepared to expend time and money on a personal injury case. There is currently no cap on personal injury awards, which will be shared with your attorney. Legally, you have a 30-day maximum to report an incident, but why wait? You should not feel sick or unable to concentrate, or be on medication when completing the accident report. Wait until you are totally prepared. Get medical treatment – stat! A work-related injury is not the time to play hero or tough guy; go to a clinic, doctor’s office or the emergency room as soon as possible! Even if you think you are okay, it’s important to have a record of treatment. Share how the injury occurred with medical personnel, including the fact that it happened at work, covering the basics. Your medical records should contain a short and sweet, — yet thorough – narrative. Whatever your story is, stick to it! Be consistent in the way you share details with doctors and colleagues about your accident. Make an appointment, keep an appointment! Get in the habit of going to all the appointments you’ve made. Feeling better? Good! Now get going; your doctor is waiting to see you! Make sure you get a copy of the workers’ compensation report your employer filed with the insurance company. You can usually be reimbursed for out-of-pocket expenses. The money that you may spend on bandages, over-the-counter medications, and parking lot fees, gas, and mileage incurred while driving to medical appointments could add up pretty quickly! Grant access to copies of your medical records and bills that are solely work injury-related. It’s perfectly fine to follow-up on a claim after two weeks time. Fill out form below and we will contact you immediately. Remember, you have 30 days to report your accident or injury to your employer.